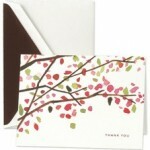 Checkerboard has around 20 social stationery albums and we carry all of them. This makes us the Bay Area’s Largest Dealer for Checkerboard. We have a very close relationship with the company, Micah Chase, the President and owner, stopped by this past fall and even helped a wedding couple with the Checkerboard line. Mr. Chases father, the former owner and still consultant, named the company after his wife’s coat design which was Checkerboard, as told by Micah Chase. 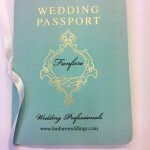 What’s extraordinary about this company is they are continually coming up with New Designs to complement the current trends and styles. Checkerboard is based out of Massachusetts, which is our old home town. Since both Jacques and myself lived and went to college in Boston, MA. We are a proud dealer of Checkerboard and always look forward to meeting with Micah and working with his team on projects. His wife also works for the company in their Design Department, which is how they met. Checkerboard has Bar Mitzvah Invitations and Bat Mitzvah Invitations Albums, Wedding Invitations, Save the Dates, Unveiled, Social Stationery, Brides, and now Cheers! which is a Party Invitations book. When I asked Jacques what his favorite is–he immediately responded, “all of them”! This is how much we value the designs and cutting edge approach at Checkerboard. Shhh! Party Invitations can be used for any Surprise Party Invite~ whether it’s a 30th Birthday Party, 40th Birthday Party, 50th or anniversary party invitation, you fill in the occasion. This is a fun, festive card letting your guests know not to spoil the Surprise! 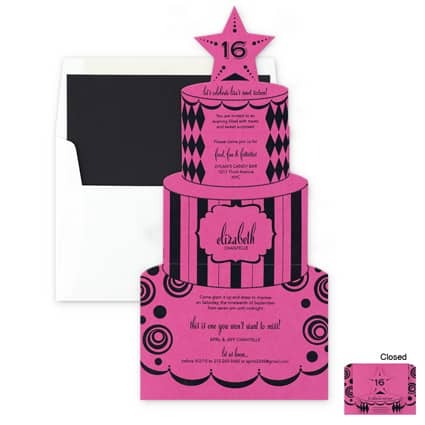 The above “Sweet 16 Birthday Invitation” is a Folded-Over-the-top Party Invitation sure to a be a hit for young girls planning their Birthday Parties or Sweet Sixteens. 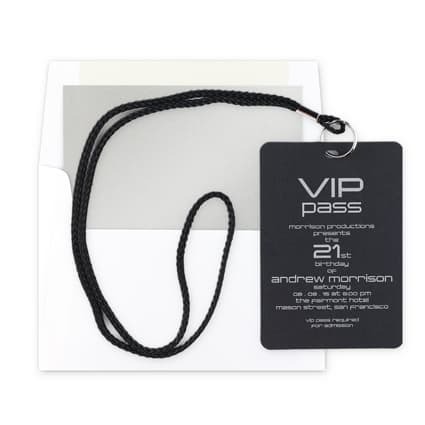 Finally this VIP Pass Invitation is personalized for a 21st Birthday, however, can be customized for any type of fun interactive Entertainment Themed Party. These are a select handful of stationery designs from the Cheers! Album from Checkerboard, to see all of the invitation designs come in to our store at Hyegraph Embarcadero or see items under out Shop Online site.